New employees have to sign non-compete agreements because you’re afraid they’ll quit and go work for competitors. You have a long social media policy that includes text that employees could be fired by violating the policy. Your social media teams are afraid of trolls, and your CMO wishes customer reviews would go away. You use sales incentives because you think your salespeople aren’t motivated enough. You have employee contests to motivate your people to increase their productivity because you think they’re falling behind. Your marketing people always ask for more budget for promotions because they’re afraid they won’t move enough product this quarter. Your receipts (retail) or TOS (terms of service) or warranties have reams of fine print because your lawyers are afraid customers will take advantage of you. You are concerned about “engaging millennials” as employees and customers; your management complains about them because “they have no work ethic.” Your business heads complain that millennials are fickle customers. This list is just illustrative—I could continue for pages—but I hope it captures the basic idea. Notice the presence of a subtle yet deep “us and them” energy that’s woven into each symptom. Having led businesses and the marketing function within several firms, I have experienced significant fear myself, but I didn’t notice it because I thought it was normal. It was so accepted. It still is. When practicing experiential social media, which interacts to build trust, I came to see that trust transforms relationships in business, and it makes many processes unnecessary. Andy Grove’s “Only the paranoid survive” is held up as a paragon of wisdom, but it, too, is grounded in fear. When firms build and maintain trust with the people with the biggest impact on their business strategy, fear and risk fall. Remember when you went on a “trust walk” in junior/high school? It seemed really scary and crazy at first; you were blindfolded, and your partner led you through various obstacles. I remember being surprised at how quickly the partners learned to work with each other. Then, of course, you changed places. Trust has considerable transformative power for human beings, as I’ve reflected at some length. Much of its power stems from the fact that trusting someone makes him/her more trustworthy. And mistrusting someone makes him/her less trustworthy. See How Trusting Customers Drives Profit for how this works with people who buy from you. Read The Employee Engagement Fallacy and How to Fix It to build trust with employees. Please consider these suggestions as very general and illustrative. The way you test trust building will vary with the degree of trust in your culture, your size, complexity of operations, and many other variables. It may not make sense to use the “A/B test” method within your firm. In those cases, you can benchmark metrics against your peers. Don’t let the perfect be the enemy of the good with the baselines and testing. Use a “minimum viable” approach to the extent your culture supports it. I also recommend against treating this as a top down “culture change/transformation” initiative, especially if you have a history of them. Underpromise and see what happens. Let people be surprised. The whole idea is you need to respect your employees’ skepticism and use simple yet convincing tests that measure the impact of increased trust, so you can learn together. In general, people are happier, more at ease and work better when they’re in an environment in which people trust each other. Keep in mind that most executives have an exaggerated sense of the level of trust in their firms. An easy test for this is asking your executives about your employees’ reviews in Glassdoor, on Indeed.com, Yelp and other sites. Of course, you can treat several of the symptoms at once, but if you do one per group of people you can isolate the effect better. When you do several together, the effect is multiplied. Again, your existing culture and business context have a huge impact on how you approach it. If your culture supports experimentation, you’ll get faster results by trying several at once. Begin by selecting groups of employees to compare. You need baseline figures for turnover, absenteeism, amount of pay raises, referral rate for customers or other employees, and other metrics that reflect trust level. Then experiment with cohorts of new employees, kind of like an A/B test. Give some the normal non-compete and remove it from the others. If employees subsequently discover the test, tell them that you are experimenting with eliminating the agreements for everyone, and anyone who wants can have theirs torn up. How you do this will depend on practicalities of your organization. As with non-competes, begin with creating baselines with salespeople you want to involve in the test. If you have high churn among salespeople, that can be an advantage here because you can select a group to hire new people according to the new policy. Of course, you’ll need enthusiastic buy-in from sales managers, not merely eye-rolls and “going along” attitudes. Scrap sales incentives, and replace them with bonuses that tie to the group’s performance. Use customer lifecycle maps to help salespeople see how your firm’s products/services help customers create meaning in their lives (customer outcomes). Refocus salespeople on empowering customer outcomes. Managers focus meetings on sharing stories of helping customer outcomes, and honestly how your product/service affects them, positively and negatively. Introduce metrics that measure how many outcomes salespeople empower and scrap incentives based on the old pipeline model. Of course, you need to make sure that existing salespeople don’t lose out financially. Changing sales incentives creates fantastic energy within sales teams because they no longer have to work against prospects: They can help prospects with outcomes instead of pushing them to buy your product or service against their will. I speak from experience here: CSRA partners with prospects to discover IF we’re a good match. By exploring together, we create harmony and trust during exploration. Refocus your social media policy away from threats and punishment toward guiding employees on how to succeed (their outcomes are usually grounded in looking great online to build their skills and reputations). Of course you need to outline the rules, but the way you communicate them makes all the difference. I’ve had to redesign many policies because they broadcast fear and mistrust, which sabotages social media performance. See Boosting Legal Safety and Employee Engagement for more detail. For operations, map out all your team’s fears about negative feedback and criticism. List all actual occurrences (usually fewer than you think). Study the root causes and define limits of what you can do to help frustrated customers and fearful prospects. Then empower your social media team to operate within these parameters. Stop the so-called best practice of referring disgruntled customers to other (private) channels—solve the problem in public where everyone can see and enjoy the drama. This change in social media operations usually has a huge impact on customer and employee attitudes and energy. Your social media team will have more energy and creativity when you show them how the vanquish their fear and lack of confidence. The root of the change here is to shift away from superficial nudges that you may have in place—toward helping employees to see the meaning in their work. Everyone wants to find meaning in his/her life, even though many people don’t appreciate this hunger. They respond very consistently when they have the choice to do meaningful things. Meaning moves the performance needle more than anything. And meaning usually involves helping other people do something. If the employees under consideration have internal customers, map the personal impact of the decisions they make on their internal customers. Make it personal. Facilitate open mapping sessions in which everyone discovers the personal impact of their decisions and actions. As with salespeople, managers have to support this enthusiastically: this won’t succeed otherwise. People feel the difference when their managers are emotionally invested. Don’t try to fool them. You won’t. Promotions can be ideal for tests because they are often sporadic and therefore lend themselves to the A/B test method. If you have direct sales, follow the approach under sales incentives for refocusing around empowering customer outcomes. When your sales and channel become focused on customer outcomes, customers will become less price sensitive over time, even for commodity products. Social media is a fantastic way to scale the shift toward customer outcomes. You can use social media to test the difference between existing product promotion and empowering customer outcomes (see the USI case study below for CSRA’s experience). Most firms see significantly better sales performance when they stop emphasizing product/service features and start focusing on customer outcomes. Like promotions, receipts and TOS are fairly easy to test. However it’s practical for you, establish baselines and start significantly reducing legalese. Write the rules in simple human language. Make sure to include in your metrics customer lifetime value. When you rewrite the terms, explicitly say that you trust customers, and say that you want to learn how the product helps them do what they want. Be ready to refund joyfully and publicly. Think about it: your restrictive refund policies are designed to “limit your downside,” but they communicate to all customers and prospects your fear and lack of trust. When you treat people better than they expect, they remark on it. This also goes for user agreements for software. For one example, see the user agreement for the Social Channel App. If you have complex call center operations, experimenting with trusting customers, employees and other stakeholders may be quite involved. Use customer lifecycle maps to involve call center teams in getting immersed in how your service/product/firm impacts customers’ outcomes. Don’t give them the maps; involve them in creating them. This will help them to develop unprecedented empathy for customers. You can use ethnographic research of social media to jumpstart the process. In your experiment, focus call center on empowering customer outcomes. Drop the cost containment rules that you may have in place. For those that you really must retain, mentor call center teams on explaining why you have them. I predict that businesspeople will soon recognize that much of what they blame millennials for was a far larger shift in values in the population at large, a change in sensibility. Millennials, since they haven’t had pre-existing consumption-led attitudes and behaviors, are simply more obvious. As employees, use employee lifecycle mapping to redefine employment. Millennials will probably respond to this concept very quickly. Use lifecycle maps for all employees. Customers and prospects who use popup blockers are going to the trouble to install extra software to stop seeing interruptive ads. Does that tell you something? This is a great opportunity to understand how pervasive “us vs. them” is in business. Interruptive ads impose on users, and they usually interpret these ads as unwanted and aggressive. Ads destroy trust on a large scale. Ironically, digital marketers are among blockers’ users. Read Mobile Advertising Is Flawed for how to rejuvenate your mobile and web ads by designing them like software. You can use experiential to transform your advertising. 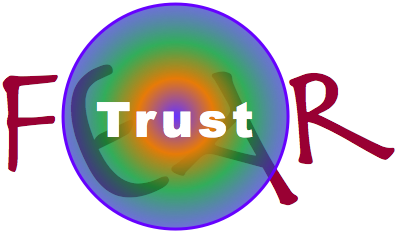 All of the above suggestions are contained within the Trust Business Chain Reaction, which shows how trust builds sustainable profit, step-by-step. I recently spoke at the University of Chicago Booth on it; you can see the slides here. The USI case study tested results of three social media scenarios: 1) conventional, brand-focused, 2) experiential interaction plan executed with a content-focused approach, and 3) experiential interaction plan executed with in interaction-focused approach. Check out the results. 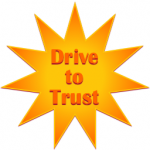 Drive to Trust is a new opportunity for firms to be the first among their peers to develop trust at scale. Maybe it’s right for you.